The new Maxistab website is on-line, completely renewed in contents and design! 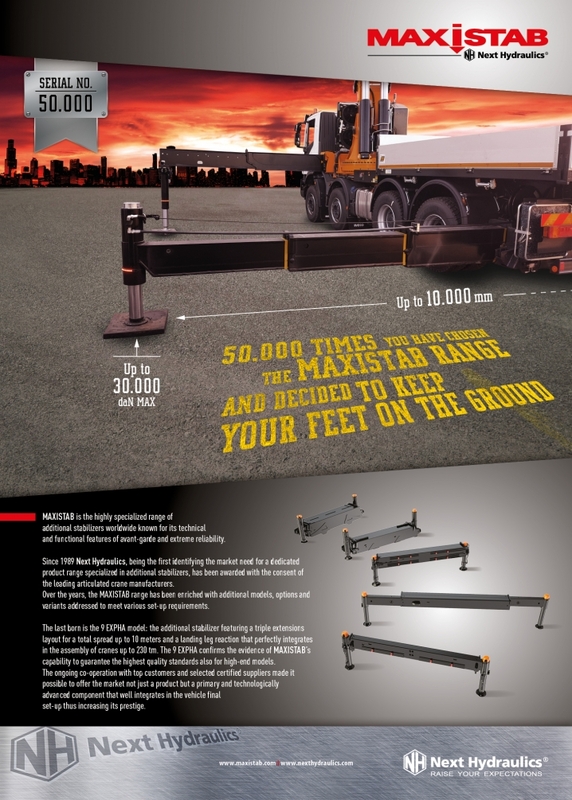 Over the years, the MAXISTAB range has been constantly enriched with additional models, options and variants addressed to meet various set-up requirements. The last born is the 9 EXPHA model: the additional stabilizer featuring a triple rod layout for a total extension length up to 10 meters and a landing leg reaction that perfectly integrates in the assembly of cranes up to 230 tm. Discover it on the new Maxistab website!